Earlier this winter we loaded up the truck and drove north to Tulsa, OK to meet up with some friends to duck hunt. Being from “north of the wall” (Michigan) I was not in the least worried about the cold front that had moved in to grip the south that early January weekend. But I knew I was in trouble the night before our hunt when even the roaring fire in the cabin couldn’t keep me warm AND my appetite for wine was gone (a sure sign of illness). Nevertheless, sick as a dog, I woke up in the dark the next morning and prepared for the hunt. A few hours later we were in the blind with the Oklahomans, in the bitter cold, when out comes a thermos. “Anyone want duck soup?” Um, me… as in, I may die if I don’t get something warm soon. This “duck soup” (which I call Duck Blind soup since there is no duck or any meat at all in it) was like a gift from the heavens straight to our blind. Piping hot, I think this broth mixture could cure anything – or at the very least make you feel much better for as long as you’re sipping it. Now, I did end up needing to get a prescription from an actual doctor after the weekend due to an inner ear infection (so much worse than it sounds). 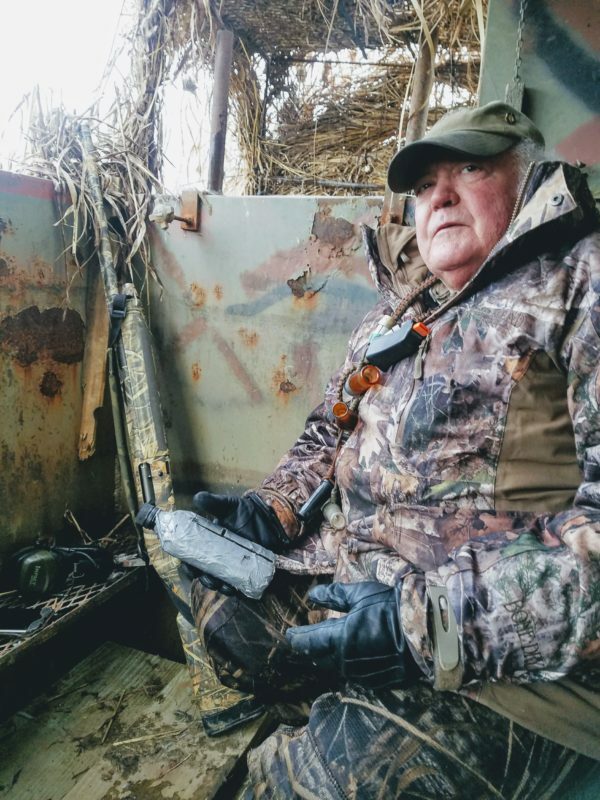 But I am SURE that I never would’ve been able to hunt throughout the weekend like I did if it weren’t for this wonder-soup helping me along. NOTE: Thanks to our wonderful hosts and friends, the Siegfrieds, for having us “up north” and for sharing their family recipe. 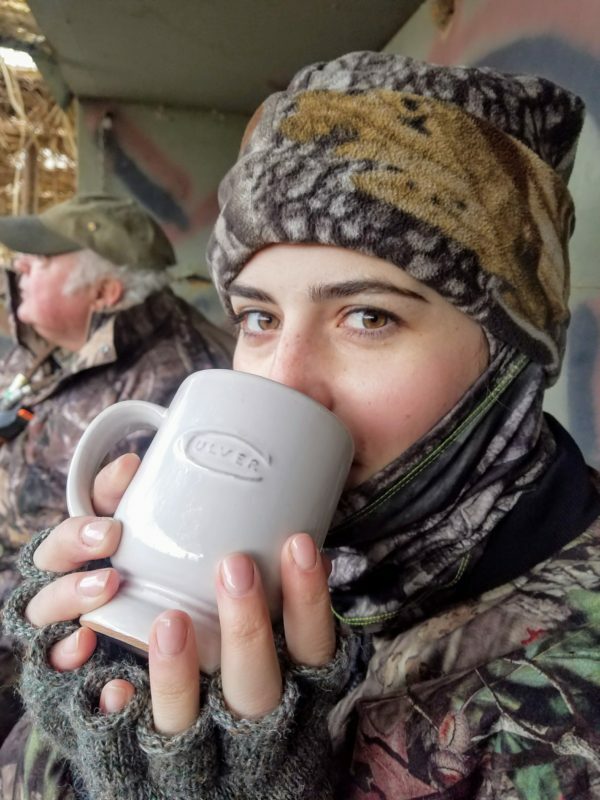 Amy Siegfried (woman extraordinaire @lastnightsgame) wrote up a great article on her first duck hunting experiences including duck soup for Edible Tulsa – which I have attached a copy of at the bottom of this post. This simple broth mixture will cure anything (for at least a few days) and extend your ability to stay in a cold blind exponentially. Boil all ingredients together, give it a stir, let it all simmer then pour into a thermos and go hunting.